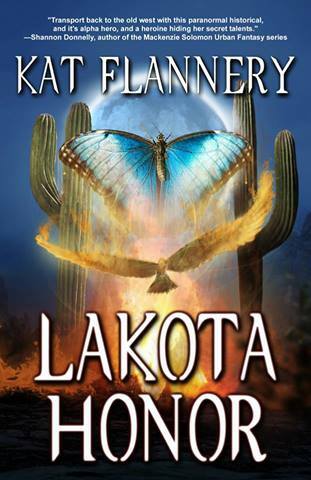 Lakota Honor by Kat Flannery will hold your attention from beginning to end. Her ability to intertwine good and evil within the confines of the Indian and white worlds is nothing less than inspired. Nora and Hawk come together in a very different, magical way; she as a healer and he as a killer. The ancillary characters are well drawn. You either like them or hate them. You might also wonder about some of them as the story progresses. Reading Lakota Honor will be a great experience for you. The resolution to this story is one that you may or may not foresee, but either way, it is a resolution that will satisfy you. Kat Flannery’s love of history shows in her novels. She is an avid reader of historical, suspense, paranormal, and romance. When not researching for her next book, Kat can be found running her three sons to hockey and lacrosse. She has her Certificate in Freelance and Business Writing. A member of many writing groups, Kat enjoys promoting other authors on her blog. She’s been published in numerous periodicals. Her debut novel Chasing Clovers has been on Amazon's Bestsellers list many times. Lakota Honor is Kat’s second book and she is hard at work on her next.